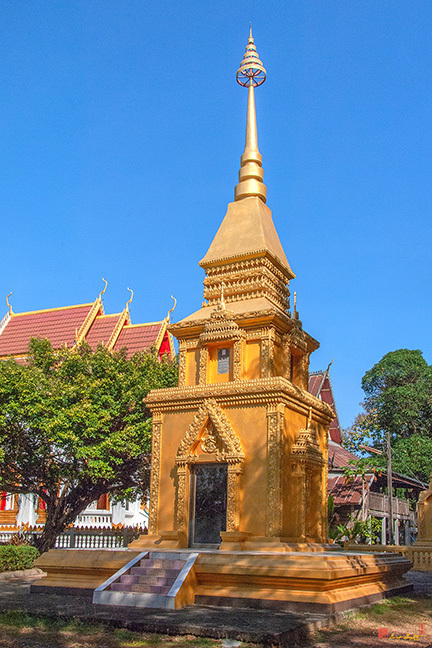 2007 Photograph, Wat Khong Chiam Memorial Chedi, Khong Chiam, Khong Chiam District, Ubon Ratchathani, Thailand, © 2014. To place this structure in context for Westerners, this chedi is the equivalent of a family tomb in a cemetery. Ashes are interred in crypts within the chedi.